Born in Rottweil in 1962, Harald Schneider studied saxophone in Bern and Stuttgart with professor Bernd Konrad. 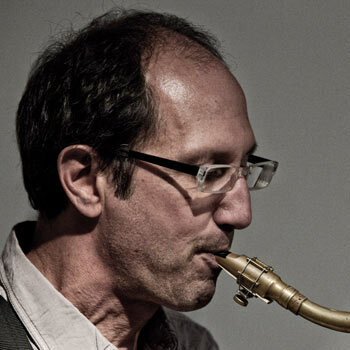 Since 1986 he has worked as a saxophone teacher and works as a freelance musician in the field of Jazz, Crossover, Musical and contemporary music. He performs all over Germany in different formations, CD recordings among others with „ Sine Qua Non“, the „ Saxophone Ensemble B“ or „Phon B“. He has been a memeber of Grupo Sal for for 20 years.